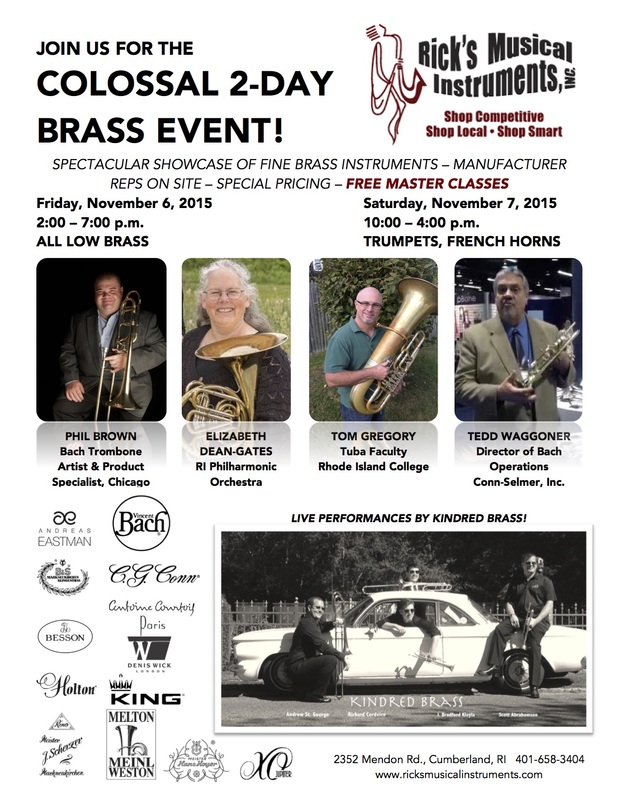 Join us for the COLOSSAL 2-DAY BRASS EVENT! This entry was posted in music and tagged Antoine Courtois, Bach, baritone, Besson, Conn-Selmer, Eastman, euphonium, french horn, Holton, Jupiter, Kindred Brass, King, trombone, trumpet, tuba, XO Professional Brass. Bookmark the permalink. 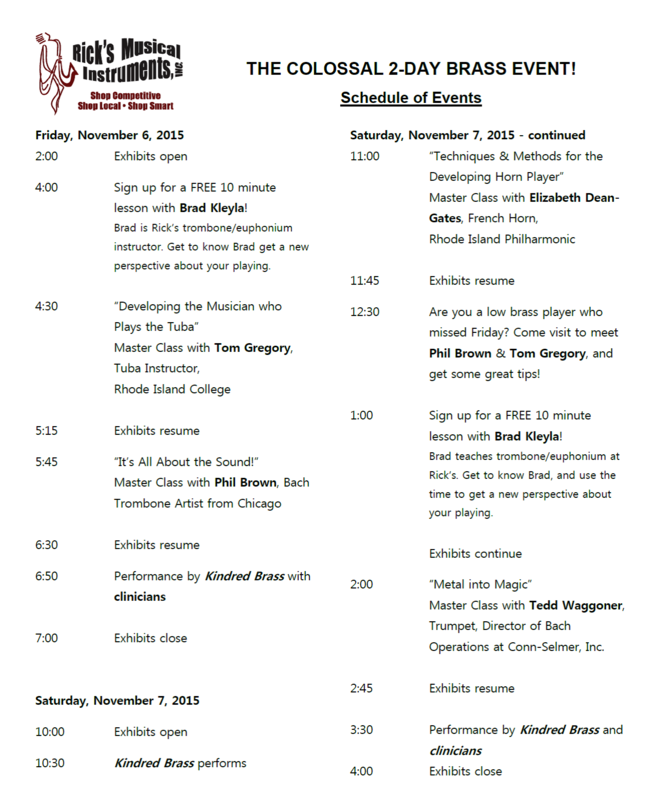 CLARINET DAY – It just keeps getting better! 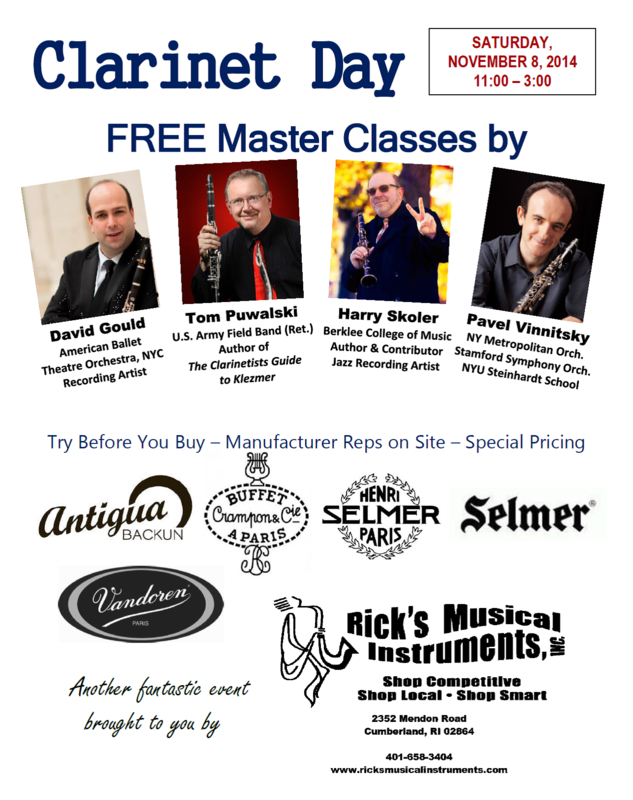 This entry was posted in Uncategorized and tagged Antigua Winds, Buffet Crampon, Buffet Group, Conn-Selmer, D'Addario, David Gould, Harry Skoler, Pavel Vinnitsky, Selmer, Selmer Paris, Tom Puwalski, Vandoren. Bookmark the permalink. 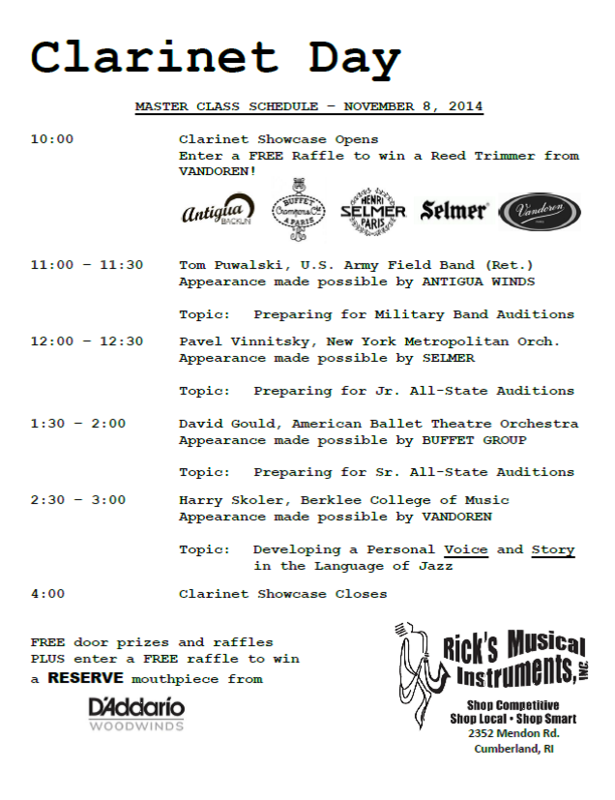 CLARINET DAY – It just got bigger! 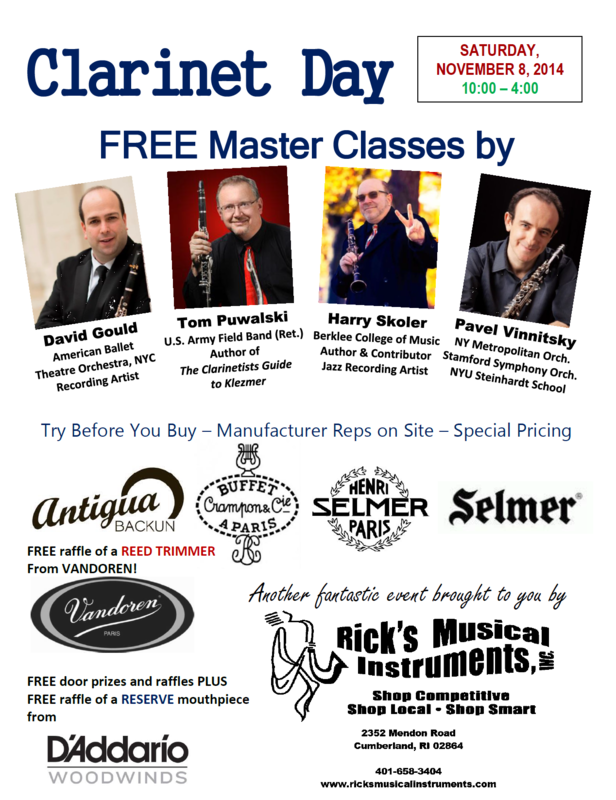 This entry was posted in Uncategorized and tagged Antigua Winds, Buffet Crampon, Buffet Group, clarinet, Conn-Selmer, D'Addario, Selmer Paris, Vandoren. Bookmark the permalink. 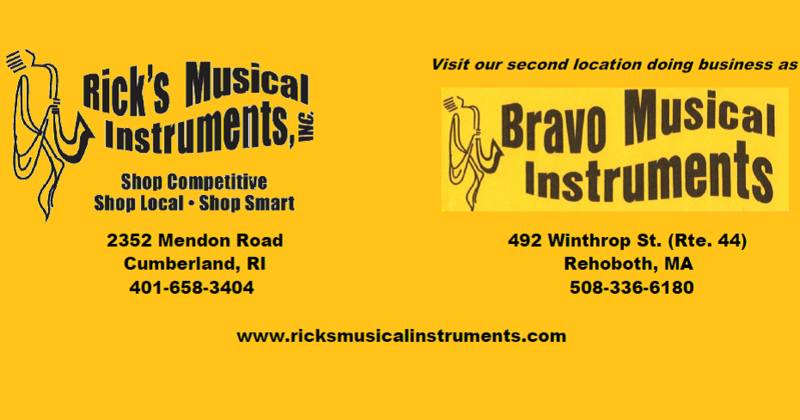 The Sultans of Sax LIVE at Rick’s Musical Instruments, Inc. The Sultans provided great music entertainment during our Saxophone Day event on May 31, 2014. This entry was posted in Uncategorized and tagged Andreas Eastman, Antigua Winds, Buffet, Conn-Selmer, jazz, Jupiter, Keilwerth, live music, Rick's Musical Instruments, saxophone, Sultans of Sax, Yanigasawa. Bookmark the permalink.